Here we have the Decksaver LE Akai Professional MPK Mini MK2 Cover. 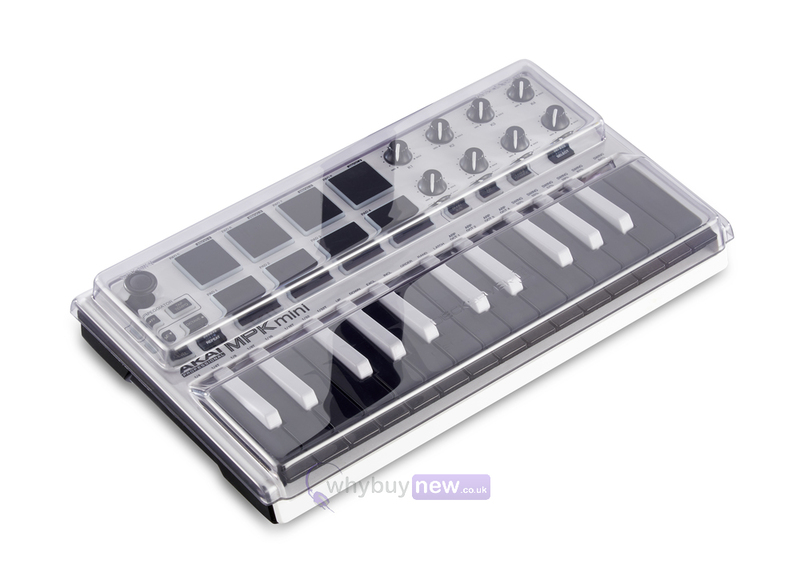 For lovers of the compact nature and small size of the Professional MPK Mini Mk2 this decksaver is a vital item to own with a sleek and attractive design that exactly fits the contours of the MPK Mini Mk2 controller. 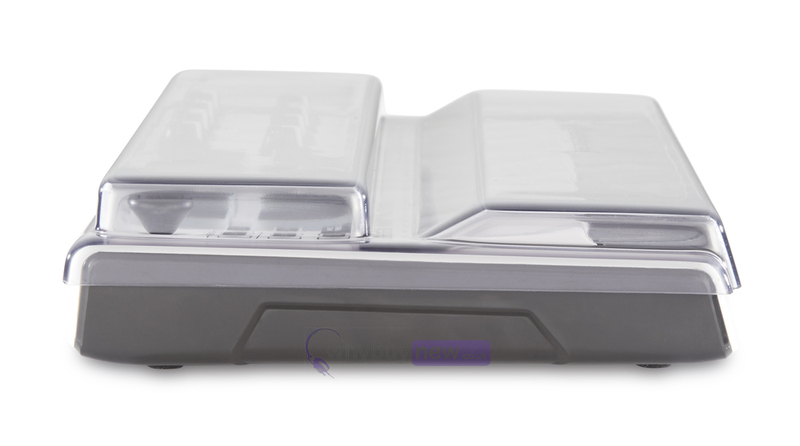 This functional-yet-attractive smoked clear cover will keep the delicate components of the MPK Mini Mk2 safe from spillages and knocks, giving you the freedom to transport your controller around without worrying about damage. Light Edition - still made from super durable polycarbonate but reaching you at a more affordable price. Engineered in the UK specifically for the Akai Professional MPK Mini MK2 Controller. 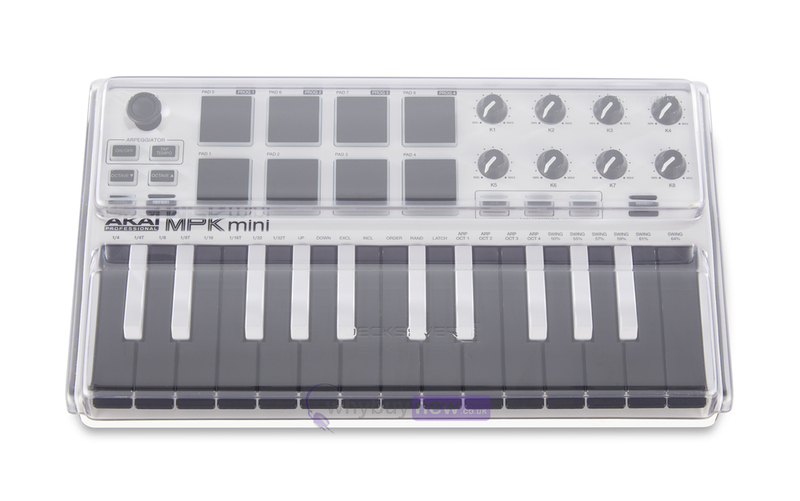 Custom moulded to fit the contours of the unit whilst leaving USB connections in place, the MPK Mini MK2 can sit ready for operation. Super durable polycarbonate shell protects delicate keys during transportation and slides straight into a flight case or bag for maximum protection. Dont go losing your keys.